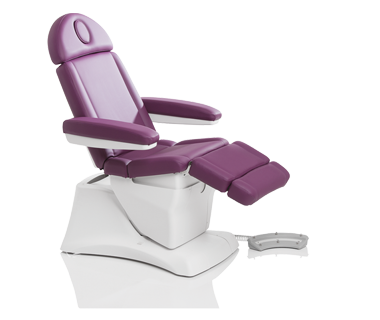 Facial beds from IONTO-COMED lay the groundwork for successful treatment. They offer outstanding MADE IN GERMANY quality, providing the best possible comfort and function and ensuring your valued customers maximum comfort during treatment. 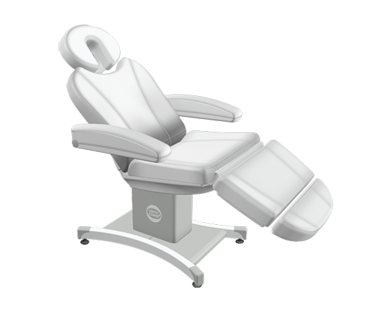 With over 30 years of expertise, IONTO-COMED offers innovative, functional, and absolutely reliable facial beds, with competitive pricing and performance to match that help them stand out from the crowd. Our beds are tough to beat when it comes to functionality and convenience. Both you and your customers will appreciate the outstanding comfort our products offer. We also allow you to create your own custom bed. Besides a variety of different upholstery types and colors, our beds offer adjustable headrests, footrests, and armrests to provide the best possible functionality. 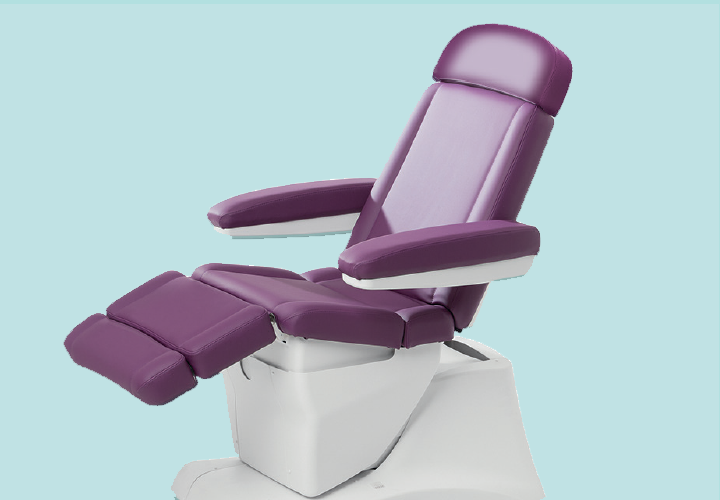 We also offer electric facial beds and adjustable height facial beds, which are available with seat heating or seat height adjustment if desired. Some of our beds also come with wheels. This feature allows you to move them easily and set the beds up in various positions. Low side heights make it easier for your customers to lay down or stand up from the bed. Swiveling armrests make it much easier to sit down or stand up. FACIAL BEDS OR FACIAL CHAIRS? Instead of beds, many cosmeticians also choose a facial chair or cosmetic chair. These products also offer outstanding functionality and comfort. 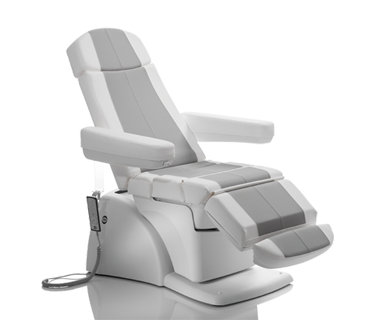 They provide just as much function as a cosmetic bed – our facial chair also includes electric adjustment, and is available in a wide range of configurations. The different drives on our beds allow them to be used in any application and for a wide variety of treatment needs. Besides classic height adjustment, the back and leg sections can also be adjusted. This means our beds provided you and your customers optimum adjustment flexibility and the best possible treatment comfort in a wide range of cosmetic applications. With our new color standards for treatment bed and chair upholstery, now you have even more ways to add your own personal style to your institute. If our standard color range still doesn’t offer what you’re looking for, you can request a custom-made product and select from a wide range of additional special color options. We can provide matching facial bed sheets for your bed in a wide variety of options. Sheets are custom-made specifically for your model of bed, and are available in various materials such as terrycloth and soft velvet. Would you like to order your own facial bed for sale, or receive more information on pricing and features? We would be happy to advise you personally. Upon request, we can prepare you an attractive offer for your new facial bed. Our competent service professionals are available for you anytime at one of our 6 branch locations. Do you need a full set of booth equipment? Besides treatment beds, our comprehensive product portfolio also includes cosmetic equipment, storage cabinets, magnifier lamps, and much more.